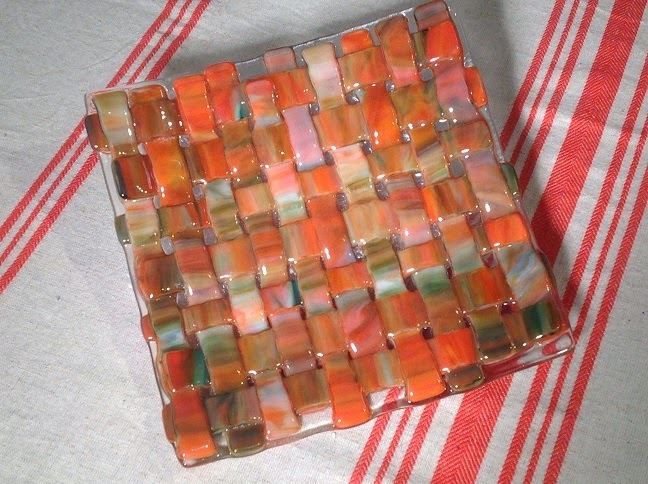 Front Porch Studio: Catching Up and Fused Glass! 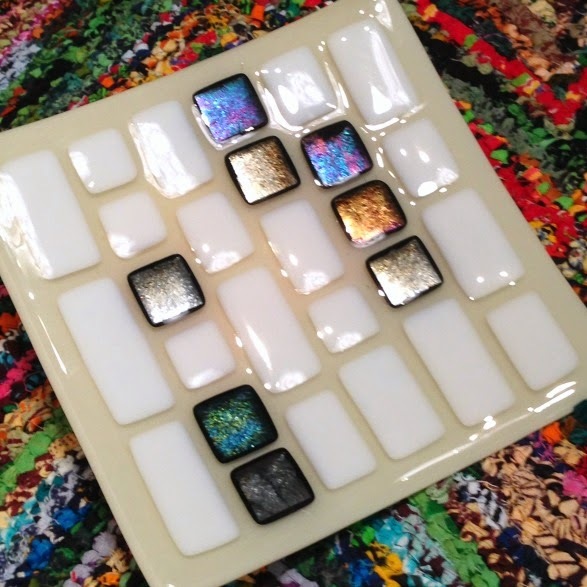 Catching Up and Fused Glass! I realized this past week that I haven't been keeping my website updated. This has been one LOOOONNNGGG winter! 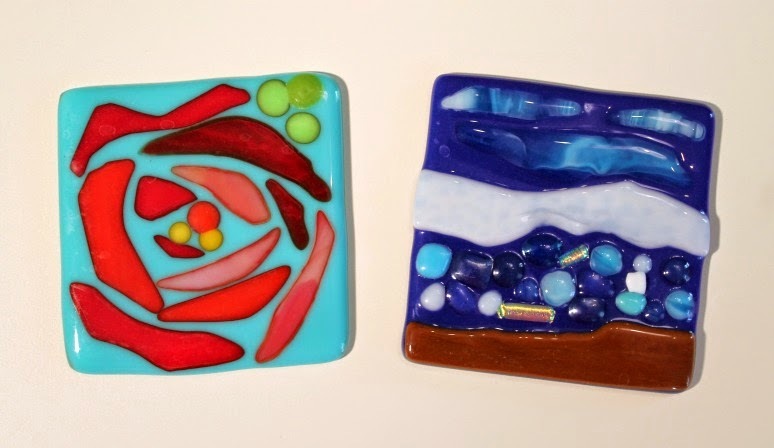 I haven't painted as much as usual, or as much as I'd like to, but I have been taking some glass fusing classes, which I LOVE!!! 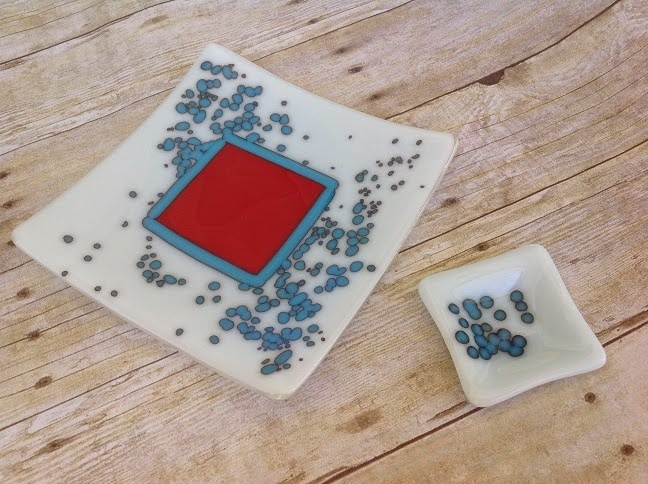 I'm so obsessed and totally ready to buy a kiln; however, my husband thinks we need to clean out the garage first, or something silly like that...whatever! 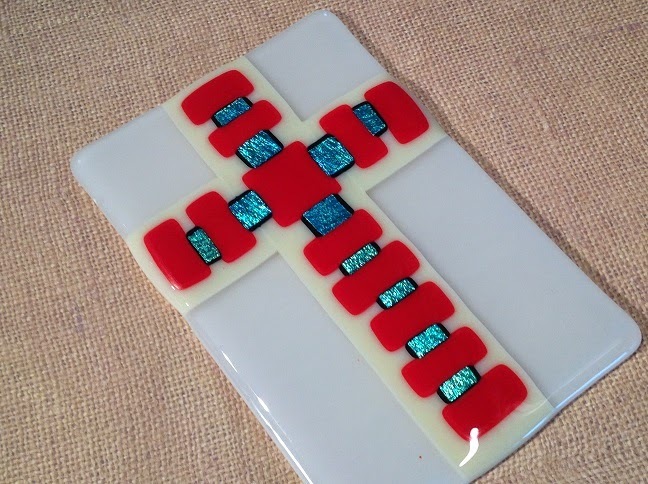 During my first class at Carolina Stained Glass in Durham, NC, we learned some basics. 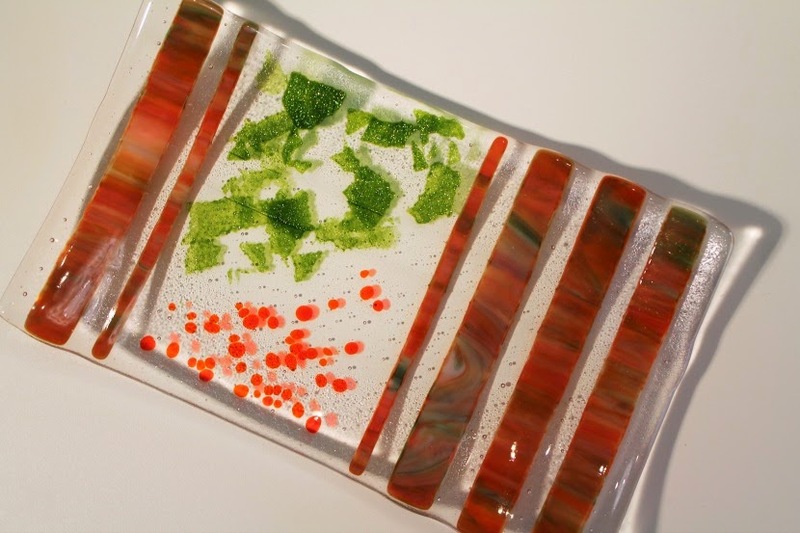 Cutting, kiln temps, different ways to paint on fused glass, etc. Below are some projects from the class. I had seen some similar colors used with silver foil that created a cool reaction. Jimmy Fallon's late night show set background was the inspiration for this pattern! I post more frequently "socially"~ follow me!